At Fabricland, the security of your information is of utmost importance to us. Fabricland is committed to full compliance with the Personal Information Privacy and Electronic Document Act (PIPEDA). When using our web site, we do not gather any personal information without your consent. We may track IP addresses from which customers visit us in order to analyze trends and statistics but your personal information will remain anonymous. 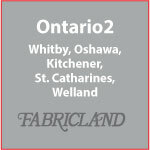 When signing up for our promotional e-mails, if you are not a Fabricland Sewing Club member, we require only your first name and e-mail address. 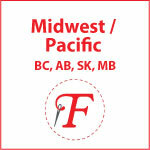 You also have the option of providing your last name and postal code. Sewing Club members are required only to provide their first and last name, membership number and e-mail address. This information becomes part of our database at which time you will begin receiving our regular promotional e-mails. You may unsubscribe at any time following the link at the bottom of each e-mail. We use this information to notify you of new and exciting products, special offers and sales, or to let you know of any important changes at Fabricland. Customer information also helps us to analyze the use of our web site to see what you use most so we may improve the services we offer. In order to purchase a Sewing Club membership at one of our stores, you are required to provide your first and last name, e-mail address, mailing address, and telephone number. You also have the option of opting out of receiving newsletters and promotional information from Fabricland via mail and the option to opt out of telephone notifications from Fabricland regarding upcoming Members’ sale events. We will not sell, rent, give or share your name, postal address, e-mail address and any other personal information about you or your account to anyone or any third party organization which is not affiliated with Fabricland. Affiliated third parties hired by Fabricland may occasionally be granted confidential temporary access to customer information by Fabricland only for the purpose of Fabricland’s internal data management services. You may contact us at anytime to have your personal information removed from our databases.